Before Navajo County, Arizona was formed, it was first made part of Yavapai County on November 8, 1864. 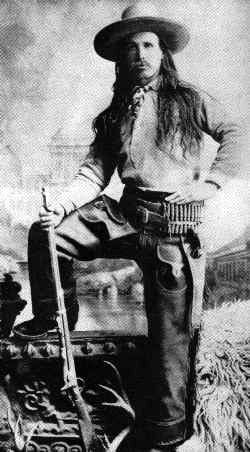 But Yavapai County was so large; it was subsequently divided into six different counties on February 24, 1879, from which Apache County was created. Encompassing almost 21,000 square miles, the newly created Apache County was mostly unknown and uninhabited. As Texas cattlemen began to move in, Apache and Navajo Indians raided the settlements. To further complicate matters on this large section of Old West frontier, Apache County was soon torn by range wars between the newly settled Texas cattleman and the already established Mexican and Indian sheep men. Then again, on March 21, 1895, Apache County was split to create Navajo County. The bill to create the new county, authored by Will C. Barnes, created a two month fight within the territorial legislature. Held up by a filibuster, it finally passed within a few moments of adjournment on the last day of the session. When Navajo County was formed, Owens was appointed as its first sheriff, a position he held until Frank Wattron was elected to the post in 1896. 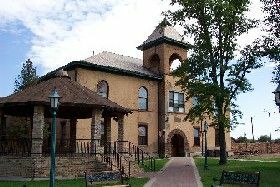 In 1898, the county erected a new courthouse that would become the scene of a number of notorious trials over the years. The basement of the courthouse housed the jail cells, manufactured as complete units in St. Louis, Missouri and shipped to Holbrook on railroad flatcars. The small, dark cells were very effective throughout the years, as no one ever escaped from them. Though the court would continue to dispense justice at this location for the next seventy-eight years, the most famous would always continue to be the first and only man ever hanged in Navajo County. In November, 1899, the new courthouse jail was holding one of its most notable prisoners, a murderer named George Smiley. 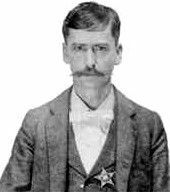 Convicted of having killed a railroad section foreman named McSweeney, Smiley was scheduled to hang on December 8, 1899. At this time Arizona law required that the county sheriff send “invitations” of executions to the other Arizona sheriffs, as well as certain territorial officials. However, the legislature did not provide a form for the required invitation nor any guidelines on the format. Goaded by his friends, Wattron decided to issue a “novel” invitation, having it professionally printed on gilt-bordered paper. However, when a reporter got a hold of the invitation, he wired it to the Associated Press. Before long the invitation was printed in newspapers all over the nation and even appeared in the London Times, the Berlin Tageblatt and Paris Fiarge. President McKinley then wired Arizona Governor Nathan Oakes Murphy, who stayed the execution for 30 days and issued a reprimand to Wattron. Though Sheriff Wattron was seemingly un-phased, stating to a friend, “Well, I got a hell of a lot of notoriety anyway,” the incident rankled him. Determined to make his point and have the last word, he prepared a second printed invitation, this time more “mournful” than the first and slightly sarcastic. It too was professionally printed, though this time the invitation was edged in black. He then waited to mail out the second invitation until he was sure it would not be received by the governor and other officials until after the execution had been performed. In any event, George Smiley was finally hanged on January 8, 1900. The historic building continued to serve the Navajo County public up until 1976 when a new governmental center was established south of Holbrook. In 1978 the Richardsonian Romanesque courthouse was added to the National Register of Historic Places. Today, the historic building is home to the Holbrook Chamber of Commerce, a Visitor’s Center and the Navajo County Historical Museum. It is also home to a couple of resident ghosts! The most prominent spirit lurking about this historic building is none other than George Smiley, the one and only man ever hanged at the courthouse. After keeping his date with the noose in 1900, he has been seen wandering about the building and pacing up and down the stairs. Historical Society staff also blames this old ghost on doors that seemingly close of their own according, strange noises heard throughout the building, and objects that are mysteriously moved. 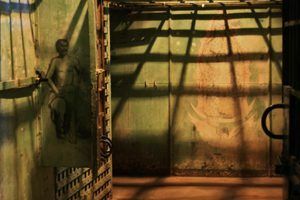 Another entity seen looking out of the windows is a woman that staff identifies as a former prisoner named “Mary.” According to the legend, Mary died inside one of the old jail cells while looking out a window and longing for her freedom. Today, this historic courthouse should be the first stop for Holbrook visitors as friendly staff will gladly provide maps, directions and information about the area. The museum provides information on Navajo County’s past which includes ancient pottery, Native American art displays, artifacts of Holbrook’s early pioneers and businesses, and a tour through the old county jail. During the summer months, Native American dancers offer free performances weekday evenings at the courthouse. Inside the 1898 Navajo County Jail in Holbrook. Photo by Jim Hinckley.